If you are a small business owner with a Solo 401(k) — also known as a Self Employed 401(k), One-Participant 401(k), Uni-k or Individual 401(k) — and you are curious about whether or not adding gold is the right move for you, you have come to the right place. Adding precious metals bullion is a great way to diversify your retirement portfolio and provide a hedge against economic troubles and currency devaluation. On this page, we'll go over what a Solo 401(k) is, how it compares to other tax-advantaged retirement vehicles, the benefits of adding gold to your retirement portfolio, and how to get started if you are ready to take advantage of what gold has to offer. As the IRS website states, a Solo 401(k) is not a different type of 401(k) plan in terms of functionality. Instead, a Solo 401(k) allows a business owner (and his/her spouse) with no other employees to still participate in a tax-deferred 401(k) plan. Introduced as part of the Economic Growth and Tax Relief Reconciliation Act of 2001, these were the first employer-sponsored retirement vehicles specifically designed for self employed workers, who had previously been relegated to using Profit Sharing Plans, Keogh Plans, or Individual Retirement Accounts (IRAs). Solo 401(k) plans have almost all of the same rules and requirements of normal 401(k) plans, with two very notable exceptions: first, the employer/owner and his business are not subject to the complex and costly guidelines of the Employee Retirement Income Security Act (ERISA). Second, there can be no other employees of the company who are considered full-time (1,000+ hours worked per year). Contributions are a little unique with Solo 401(k) plans, since the only account owner is considered to be the employer and the employee. This means that, as of 2014, “employee” contributions can only reach $17,500 ($23,000 for 50+ year olds) per year, and then additional contributions must be considered “employer” contributions. In the end, these distinctions are semantics necessary per IRS rules. Combined employer and employee contributions cannot exceed $52,000. Solo 401(k) plans are not required to use a special custodian like an IRA, meaning that almost any bank or financial institution can act as a trustee. If a Solo 401(k) owner finds the right institution to allow it, the plan can invest in a host of alternative asset classes, including real estate or precious metals. Under certain circumstances, Solo 401(k) plans can even invest in life insurance, something even self-directed IRA plans cannot do. When used properly, Solo 401(k)s are almost unmatched in their ability to offer a retirement plan that is low fee, high flexibility, easy to transact in, has high contribution limits. There are two major drawbacks to a Solo 401(k): they are not available to most workers, and they require an immense amount of paperwork and document maintenance compared to many other plans. Solo 401(k) can both accept rollovers from IRAs (and other accounts) and be rolled over or transferred into some other types of retirement accounts. Not all plans accept rollovers, however, and even some Solo 401(k)s are created to not allow for rollovers. This is why the plan set-up process is very important for any business owner. When you receive funds from your Solo 401(k) for a rollover, you have 60 days to complete the process. If you fail to do this, the IRS will treat your money as a taxable distribution. Additionally, if you are not yet 59 ½ years old, the IRS will also impose a 10% penalty on the withdrawal on top of the normal income taxation. You are limited to one rollover per year from a Solo 401(k) into an IRA. This one-year period begins on the date that you receive your Solo 401(k) distribution. This applies separately to each IRA that you own. You cannot use the cash from your distribution to purchase investments in the period in between receiving your Solo 401(k) distribution and establishing your IRA. Just like with a standard 401(k), it is advisable to only select a “direct rollover” for your retirement account funds. In a direct rollover, you never personally receive a check for your distribution; rather, your trustee will transfer the money directly into your new IRA plan. "Maybe" indicates that gold investment options are at the discretion of the plan provider. For instance, some 401(k)s offer gold mutual funds or ETFs, while others do not. If you are selecting a financial institution to use as your trustee for a Solo 401(k) plan, it is very important to understand which investments they are willing to direct your contribution funds into. The limitations placed on you by your trustee will be very significant in determining which types of gold you will have access to. You can invest in gold bullion through a Solo 401(k) plan, along with many other alternative assets. However, many trustees are not equipped or willing to complete investment metal transactions. If you have a Solo 401(k) and do not have a trustee who can complete a precious metals purchase, you are best served to either roll over into a self-directed IRA or open a separate one. Solo 401(k)s are very unique investment accounts with a ton of benefits; that said, there may be limitations placed on your account by either the plan documents or the plan trustee. 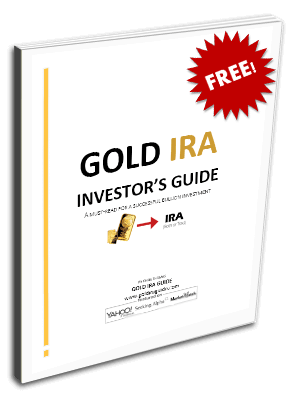 If you are unable to invest in IRS-approved gold bullion through your Solo 401(k), you can still enjoy a tax-free rollover into a precious metals IRA and purchase gold (or other metals) that way.